Healthy chocolate? Is there such a thing? I am sharing a deliciously healthy homemade chocolate with the filling of your choice (because really, you could put whatever you like on the inside)! Making chocolate at home has never sounded easier. Nutty, fruity, sweet or salty, how do you like your sweet treats? 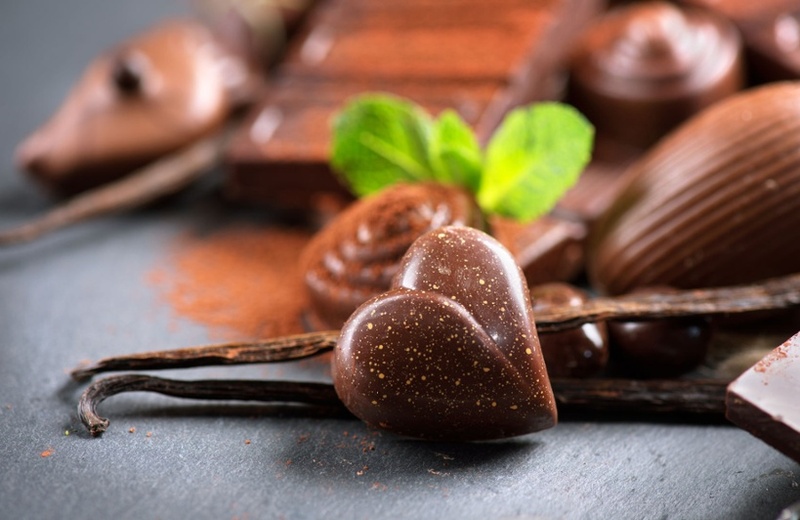 If you’ve never made your own chocolates, perhaps now’s the time to try! Whether it’s to enjoy the process of making them with a loved one, of giving them as a gift, you will surely be rewarded by your success knowing they are utterly healthy and delicious. Mix together coconut oil, cacao powder and liquid sweetener in a bowl. Using a small silicon ice cube tray or chocolate mould, scoop about 1 tsp of chocolate mixture into each compartment, using up half of the coconut oil/cacao mixture. Transfer tray to freezer for mixture to harden (about 10 mins). In a food processor, blend together the ingredients for the filling or use them whole. Remove chocolate mould from freezer and place a small amount of filling into each compartment. Pour the other half of coconut oil /raw cacao mixture – about a teaspoonful over the first layer of chocolate and filling until filling is covered. Return to fridge or freezer to harden. Once hardened, pop out of the tray. Store in the fridge or freezer. Recipe kindly supplied by my good friend Sharon at Rawlicious. Check out the great things she does!